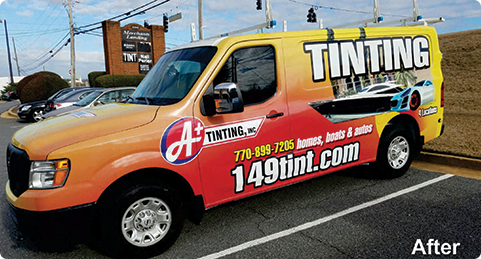 Vehicle Wraps, Signs, Banners, Printing, Screen Printing & Embroidery in Suwanee, GA, Buford, Sugar Hill, GA, Gwinnett County, GA and surrounding areas! We go to work, to school, to shop, to catch a movie: if you want to get there, you’ve got to GO there. The fact is, we’re always on the go, always moving. If your customers are moving, shouldn’t your marketing move with them? Of course it should…that was a rhetorical question! 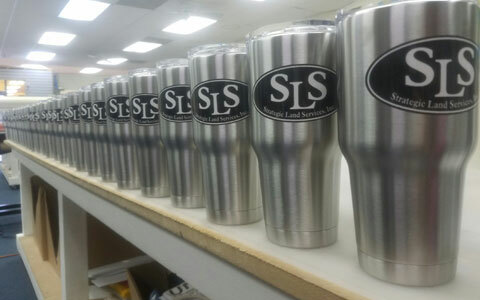 North Georgia Graphics creates mobile marketing: that is, we make products that move, from vehicle wraps & graphics to screen-printed and embroidered clothing, not to mention our specialty items like pens, water bottles, koozies and so much more. In an ever-moving world, your message should move with it. North Georgia Graphics makes that happen! We’d like to be modest, we really would, but we’re just so darned good at what we do it’s hard! 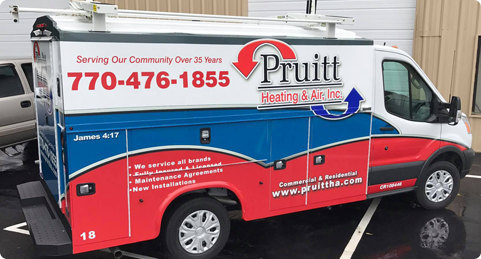 From swag to signs, amazing screen printing to stunning vehicle wraps, North Georgia Graphics keeps your business name in front of people wherever they are and wherever they go… and we do it with style. Crisp colors, stunning graphics, awesome merchandise, all featuring your company’s info. 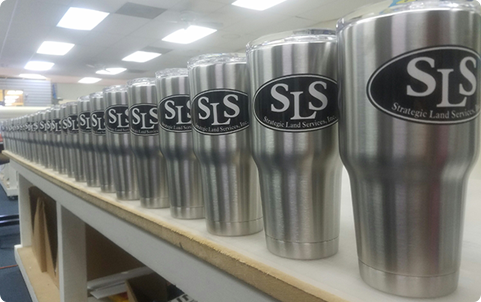 Great products that feature your company’s logo make you look good. 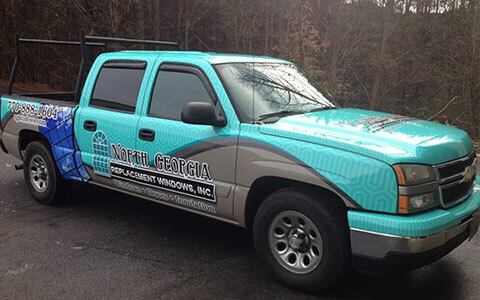 North Georgia Graphics has been in the mobile marketing business since 1996 and we can’t wait to put your name on our marketing that goes where your customers go! One or one hundred, we’ve got you covered. Whether you need one embroidered cap or a dozen printed t-shirts, North Georgia Graphics does the job. Hey, we’re not greedy: you’ll get a great price on your order whether it’s big or small, and there’s no minimum order requirement! Equally important is the fact that the quality you expect isn’t predicated on how big the order is, or how much you spend. We make really, REALLY good stuff, and there are two reasons for that. Number one: we’ve earned a great reputation for quality and we’ve grown very fond of people saying nice things about us. Second: when people place an order and they get something that makes them go ‘wow’, they order again and again. We really like it when that happens, so we keep delivering nothing but top quality products. That’s good business. That’s North Georgia Graphics! You’re gonna love us. Really. Again, at the risk of sounding immodest, it’s going to happen. Oh, you’ll resist…it’s only natural to be cautious and maybe a little guarded. But once you place your first order, realize how friendly and helpful our staff can be, you’ll start to warm up. When your order arrives (probably much sooner than you thought it would), you’ll smile. Then, when you finally see the quality, the wonderful colors, sharp graphics and excellent workmanship…oh, that’s when you’ll become a real North Georgia Graphics fan! And once you compare price to quality, you’ll be even happier you chose North Georgia Graphics. I've been doing business with them on shirts for years. Very flexible and were super nice. Highly recommended! My go to guys for printing! Great experience as always! They Did An Excellent Job With The Logos On My Chevrolet Truck! Aways helping our business with their speed of service. For ALL your sign, banner, and tee-shirt needs!!! 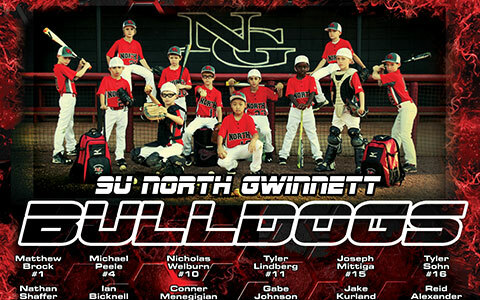 North GA Graphics - great people, excellent quality work, and fair/competitive pricing. 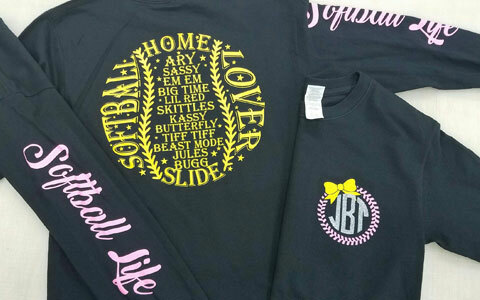 Personalized Wearables – screen-printed and embroidered t-shirts, hats, jackets featuring your logo, company/organization name, message, etc: cool stuff! Vehicle Wraps – Your vehicle becomes a spectacular mobile billboard. Choose a complete or partial wrap or, for a part-time solution, vehicle magnets! Signs – indoor, outdoor, big, small, vinyl, digital…we even do corn hole boards! Banners – from congratulations to welcome home, we make special occasions a celebration with custom banners. Oh…and don’t forget about our sports pennants!